Stand with confidence using a Zimmer frame you can set up or store away in seconds. 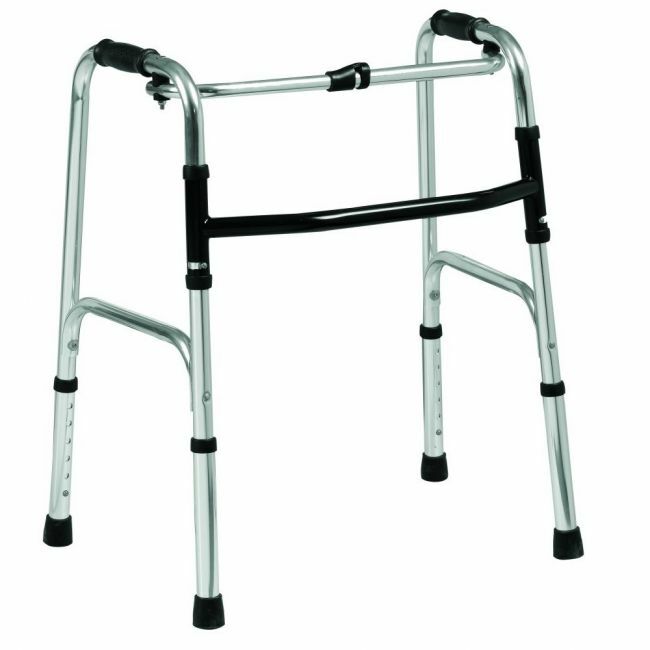 This simple walking aid is ideal for the elderly person who lacks the strength or confidence to stand unassisted. At less than 3kg the aluminium tubing is light enough to lift with ease, yet will support users up to 18 stone. When not in use, this folding walking frame folds flat with the touch of a button.